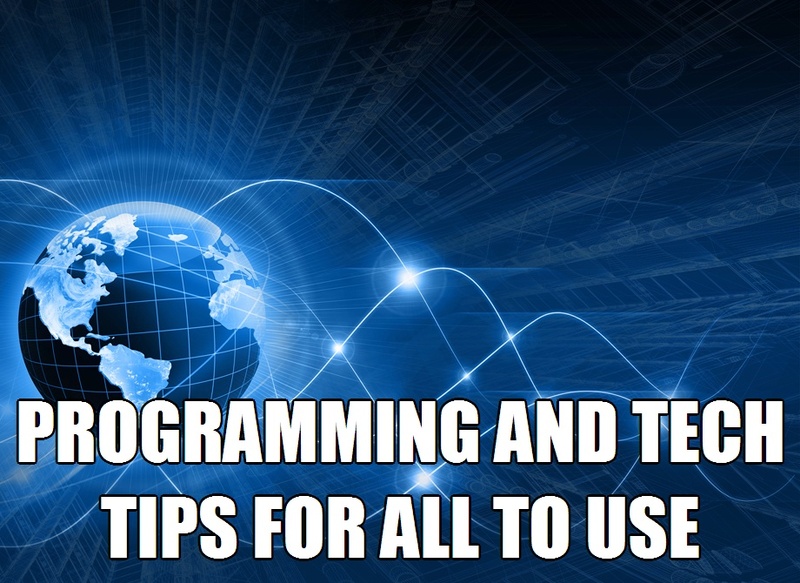 Programming and technology points have been rather prevalent and important to explore over the years. There is a clear need to take a look at such programming plans can be used in any spot though. There are a few sensible tips that may be used today in order to help people understand what is required of them when getting their setups ready for whatever it is they want to create and establish. These are all sensible tips that can work wonders for anyone these days. Code analysis programs are always helpful. Code analysis programs are being used these days to help with testing out the codes that are being used in computers and if they are actually active and functional as desired. Programs like Klocwork, Polyspace, Pretty Diff and Black Duck Suite have been big hits with many who want to find ways to get their programming efforts to be as easy to handle as possible. All programmers need to take a look at what code analysis programs are available for use in their environments. Of course, these will vary based on what is available for use. Always check the code before troubleshooting anything. The most important tip to use is to check the code before any troubleshooting activities can take place. This is to ensure that there are not going to be any problems coming out of a program that could only be made worse if some professional troubleshooting functions are managed at any time. Work with the Final variable. The Final keyword needs to be used when drafting variables the right way. This is to see that values of items cannot be set more than once after they start running. This can be used to keep the items in the website as consistent and accurate as possible so nothing wrong can happen with them being used at a given time. Use only one side effect at a time. It is typically best to stick with one side effect at a given time. Side effects refer to what happens in addition to getting certain values ready in the programming process. It is best to keep the programming process as simple as possible in this case. Create more accurate and direct names. Finally, all processes must be used with their own unique and specific names. 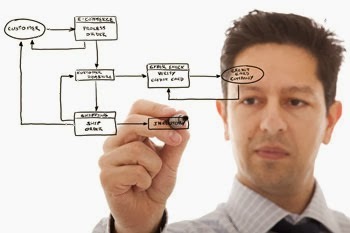 This is to ensure that the process of generating data will not be all that hard to handle. If the right plans are created in this case then the overall process of coding items will be a little easier for all to work with. Watch for cut and paste processes. While cut and paste processes may be useful and can help anyone to save time in the process of getting items ready, you need to be rather cautious. Use cut and paste if the program is a little easier to work with and is not going to be far too complicated. If the program is going to be easier to read though cut and paste processes then it should be just fine as it is. The key is to ensure that the programs being used are as easy to handle as demanded and will not be all that tough to use. Programming and tech processes are all fascinating things for people to take a careful look at when it comes to finding ways to get a program to really stand out and to work as well as it needs to. The right plans must be established as a means of getting anything to work properly and with more than enough control as needed. After all, a good code setup needs to be designed to keep anything running with ease and clarity in mind. David Miller is an educational researcher who has several years of experience in the field of teaching, online testing and training. He is associated with prestigious universities and many leading educational research organizations. Currently, he is pursuing research in eLearning software and is also a contributing author with ProProfs. Cloud computing is a term that involves delivering hosted solutions over the internet. These solutions are broadly categorized into three groups: IaaS, PaaS and SaaS. So, we can see that cloud service come in different forms. This might have probably caused some entrepreneurs to be doubtful about how this technology will have an impact on their companies. I am sure it is because of this ‘doubtfulness’ and lack of proper knowledge about cloud computing, that various myths have proliferated, concealing the true benefits it provides, like reducing expenditures and enhancing business agility. 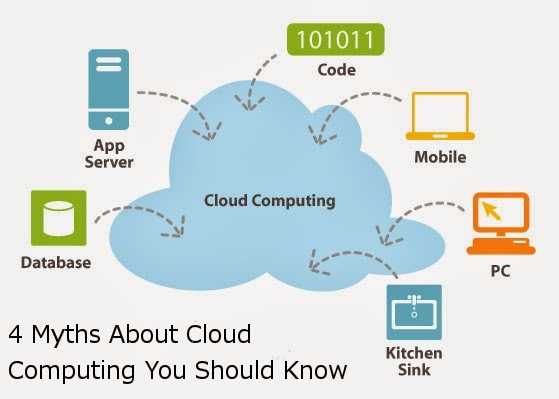 Here I have discussed some common myths and misconceptions about cloud computing to give a reality check on it. A common hesitation in migrating into the cloud lies in the issues of privacy and security. Because of the cloud system’s deployment of essential business data to the internet, IT professionals see on-premise system as being less susceptible to risks and security breaches. However, contrary to the notion, cloud computing is safer than on-premise system deployment. Unlike small firms that have lesser system-data, which need to be migrated to the cloud, big companies generally have legacy systems with a huge data-pool and more requirements, which slow the cloud adoption to some extent. This kind of complexity might have given the notion that cloud is not right for big businesses, when in reality; it leads to development of cloud services, which are inclusive and meet stringent rules. Integrating the cloud computing with on-premise systems in two-tier ERP model has proven to be useful for large enterprises, while running subsidiaries, particularly on a global basis. Businesses that are involved with mission-critical events run completely on Groupon, Amazon, cloud-Netflix, and Google to name a few. In the Asia-Pacific region, mission-critical apps continue to move into the public cloud like CRM, human-resource management and ERP. This provides better business agility in comparison to the traditional delivery models or public clouds. The conception that private clouds can offer all the advantages associated with public clouds without any issue of privacy is not completely true. Private clouds have disadvantages like limited scalability and a continuousrequirement forsupportsolutions. Public clouds even offer OpEX (Operating Expenses) based pay-as-you-go model in comparison to CapEX (Capital Expenditure) intensive nature of private clouds. When switching to cloud computing, it is vital to distinguish reality from myth and comprehend the many pros that the cloudenvironment provides. It is even wiseto keep in mind that though not all cloud providers are equal, there is a cloud solution, which definitely suits every organization. Technological advances have led to increased utility in the field of construction software. For small to medium-sized companies, software-as-a-service (SaaS) solutions can reduce the initial cost of implementation and can provide added support and stability for these advanced technological systems. Understanding the basic elements of construction software packages can provide increased insights into the most effective uses for these systems in boosting productivity and supporting your company's ongoing construction projects. The primary interface for SaaS systems is the dashboard, which typically allows access to the most commonly used applications and may provide a convenient display of current project information. Secure login technologies allow staff members to work from home or from anywhere with a high-speed Internet connection. Drop-down dashboard menus allow users to obtain additional information about specific projects or work activities. Most SaaS systems allow users to access their dashboards and applications securely through cloud computing technologies. Customized logins can ensure that each staff member has access to the specific applications and data necessary for his or her job duties; this can boost productivity and reduce security risks in the workplace. Shared calendars and email alert systems can ensure compliance with contractual obligations and can prevent scheduled events from slipping through the cracks. Establishing tiered access levels can ensure that only authorized personnel can edit or delete items already in place, guaranteeing optimal protection for these critical scheduling applications. Most construction software platforms incorporate searchable data storage for contracts, documents and other business-oriented digital information. Creating hierarchies and categories within these storage systems can allow a greater degree of control over access and editing privileges in the workplace environment. Contract management is a critical element in managing construction projects effectively. Tracking and monitoring contractual obligations and ensuring that all deadlines are met can protect the company's reputation for reliability and can allow a greater measure of control for supervisors and managers in the corporate structure. Punch list applications are designed specifically to allow access via mobile devices while on the construction site. Mobile apps intended for professional use have become immensely popular in recent years; it is estimated that as many as 200 million workers perform at least some part of their job duties using a mobile device. Punch lists are ideally suited for adaptation to the mobile environment and can provide added convenience on the construction site. Drawing management software is designed to streamline the drafting process and to help construction firms manage multiple sets of plans and track changes as they occur. By maintaining a historical record of previous project iterations and revisions, construction firms can more effectively manage the demands of the client and the requirements of the project. By incorporating the power of advanced SaaS arrangements in managing the computing needs of your construction firm, you can provide your staff members with the tools they need to succeed. Construction software solutions can enhance productivity and ensure on-time completion of projects in progress to create added profitability and improved market position in the housing industry. Grant runs a small construction company, where he uses a software system to handle many of his business needs. He has found that technology developed expressly for the requirements of this industry has made his business run more smoothly and more securely, and recommends these solutions to others. According to recent studies on cloud data usage conducted by Cisco, North Americans are currently the biggest consumers of cloud data, transmitting around 261 Exabytes of data per year. The Asia Pacific region is the next biggest consumer, transmitting 216 Exabytes of data in 2011. An Exabyte is one billion gigabytes. If that sounds like a lot of data, that’s because it is – but it’s a tiny amount compared to how much analysts believe will be used by 2016. Cloud usage is growing more rapidly in Asia than it is in North America, so by 2016 the Asia Pacific region will be the biggest consumer of cloud data, handling 1.5 Zettabytes of data per year. That’s one and a half billion terabytes worth of data. North America will be handling 1.1 Zettabytes, with Western Europe not far behind, and also hitting the one Zettabyte barrier. Cloud computing is a huge industry, and as this infographic shows it’s only going to get bigger as more and more industries start heading online. Software as a Service is already a ubiquitous idea, with email, messaging and even accounting products heading “always online”. Don’t miss out on the cloud revolution.